The Angels are gearing up for contention in the American League West by inviting retreads like Ian Stewart, John McDonald, Brennan Boesch, Carlos Pena and Chad Tracy to spring training - it will be amazing if anyone of these players actually make the Opening Day roster and contribute this season, though I can't say the Angels have had much bench strength the past two years, so maybe the team gets lucky with one or two of these guys. I suppose Boesch has the best potential to stick as he's the youngest at 29 - it seems like the New York Yankees cut bait on him early last year even though in a small sample size, he was slugging .529. 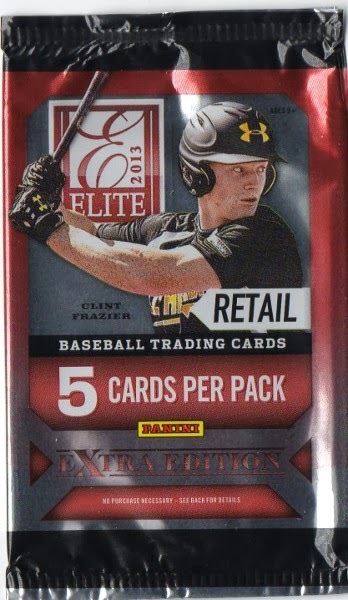 I'm weird about purchasing blaster boxes - even though I may pick up 5-10 each year, I don't like the idea I'm plunking down $20 each for something that might be 'watered down' for retail. 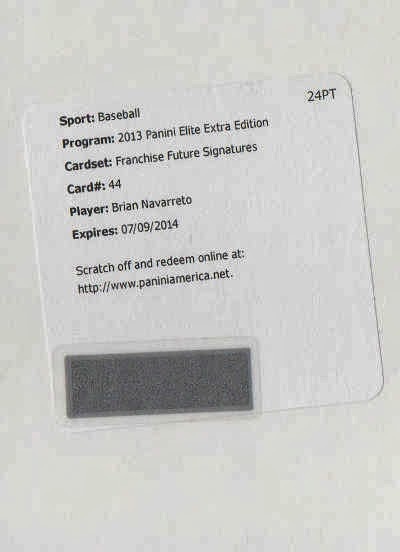 It's even more peculiar when I spend $30 for any sort of single blaster, even with two autographs guaranteed per box - I tried a blaster of EEE because I don't want to buy a full hobby box and was curious since I've read on forums, an extra autograph and a Team USA jersey card were being pulled in addition to the two hits. I picked up another 250 card Fairfield baseball cube [$9.99] at Target - this time I was able to slice through the plastic seal cleanly with a nipper, where I had 'made a mess' with the two other Fairfield cubes I've opened. The two packs of cards with each cube add to the total number of cards - but not much more. With the 250 assorted cards, it looks like I was SOL - I don't know what I expected but most were 1986-1992 junk wax, which I seem to have railed about ad nauseum. This first-year certified autograph card is nice, shiny and autographed, even if it features a never has been - who [according to the back of the card] Johnny Bench curiously compared to Tom Seaver after watching him at a workout. 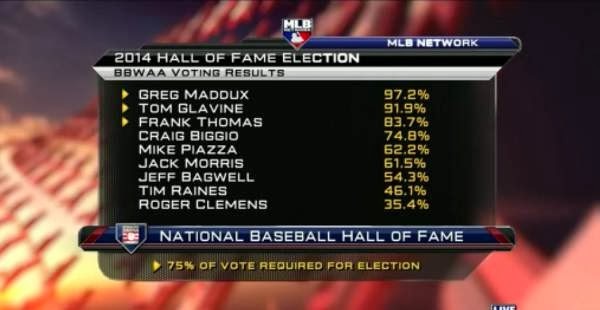 "354 wins did not overcome the controversy as this ex-Red Sox pitcher didn't make the Hall of Fame cut in 2013." 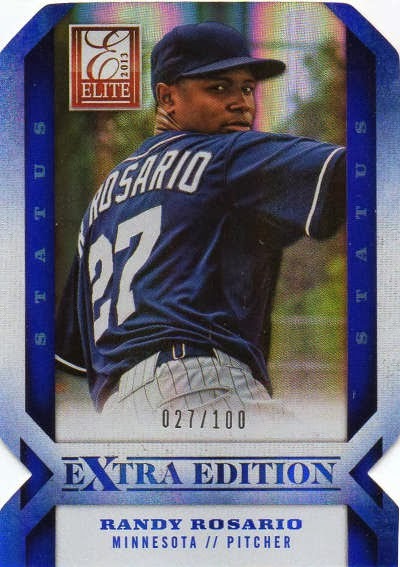 One of my favorite base cards of A-Roid early in his MLB career was his 1997 Upper Deck - part of me still likes the idea that this guy put up the numbers and was the best baseball player in the planet at one point, but then the other stuff is just too much. Maybe a part of me wished he was A-Rod at some time in his life, but he's exposed himself as a sham and a bum - it's hard to consider anything positive without thinking about the supposedly unsavory things he's been involved with like performance enhancing drugs. The sad thing is I'm probably looking forward to see if he has any juice left - see if he can prolong his career and past all the drama, can step up to the plate in an actual MLB game in 2015. I was looking for a cardboard fix at a Dollar Tree discount store - I found and picked up a couple of PressTine [apparently a Canadian company] of 20 card 'baseball trading cards' repacks. I wanted to see what I could unearth - I was hoping for some interesting, but even with low expectations in hand, most of these cards put me to sleep. When I can, I'm pulling cards out of my three 3,200 boxes representing my 'A-Z archive' of cards - I hope I'm not making more of a mess but I'm trying to see if there applicable cards to extract from the 'rank and file' cards I've hoarded over the years. Inking it up - chasing for autographs at a baseball game is my other hobby besides collecting baseball cards, so it's nice to see moments where players signing for fans are captured. PEDs - a backup, 'scrub' catcher in the mid 1990's found himself using steroids and years after his professional playing career was done, found himself in the Mitchell report. 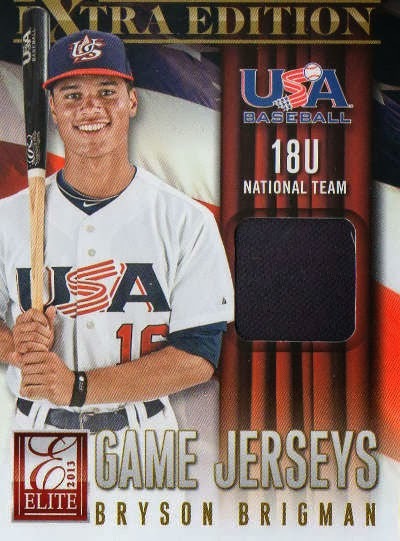 Tools of ignorance - I've collected cards with catchers or other players [goofing off] pictured in catching equipment, though cards with catchers in game-action shots i.e. plays at the plate adds a little bit more exciting element to the collection. Supposedly the former Angel is looking to make a comeback after playing in the Venezuelan winter league recently - the fact that he's just about 40 years old makes it doubtful that he makes any sort of impact. If an opportunity was given and he took full advantage to play in the Major Leagues in 2014, maybe he'd still be able to get on-base with his superior batting eye - but maybe the ability to hit the ball with authority on a consistent basis will not be there for a team that needs some pop off the bench or as a fourth outfielder/DH. I used to like Abreu in the early to mid 2000's not because I saw him play or anything on a regular basis [until he landed in Anaheim perhaps] - but because he put up metronomic numbers, his cards were easy finds out many quarter or dime boxes and may have been worth hoarding as perhaps he'd be a potential Hall of Famer one day. I picked up a certified autograph of the Angels' first pick [second round, 59th overall] in the 2013 MLB draft - I think I want to see if I can pick up a certified first-year autograph card / maybe a certified autograph parallel for around $5-$10 of most 'future Angels,' hoping they develop into actual Angels. 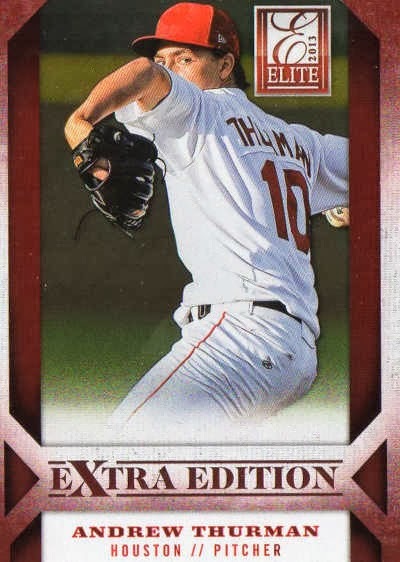 I figure in five years, I'll see if my 'investment' of a few bucks per card pays off - if Green gets traded as a prospect who never appears in Anaheim, disappoints and/or is a bust, then I guess I'm still holding onto his Angels card (s) for my collection somewhere, though I'm really hoping he is someone who can rise up through the system with no major stumbling blocks. The autograph didn't come out at all on the 2013 Sacramento team set card - I bought the set, thinking I'd have some extra cards to signed in-person, but the cards were too glossy and I didn't think to prep them well. I was able to take these pictures during one of my visits to a San Diego Padres game last year - I also got Mr.Coleman to sign a baseball before one of the games I went to. At the end of year - I want to feel like I was able to own some of these goals or objectives I've set. I'd like to make updates to my collections every month and talk about it - I want to have control by working on my wantlists, listing and adding new cards, seeing how many cards I've added in a particular month, etc. 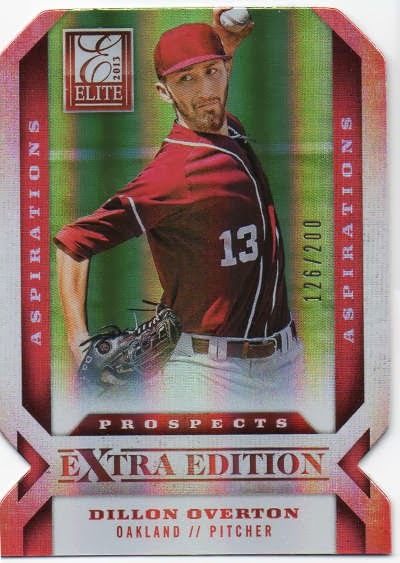 E.) I'd like to pick up a regional PC card per month - I'm also not looking to bust a budget but cards that I can add towards my Top 30 PC; these cards could be towards a PSA graded sampler, a parallel, et al. F.) I'd like to pick up a random card per month - something off-the-wall and completely random, probably for some sort of nostalgia. G.) I'd like to bust five to 10 'guilt free' hobby boxes - try not to buy into hype when boxes first come out but pull the trigger on a couple. H.) Build up a pack surplus [ideally about 10-15 packs at a given time] to bust at different times of the year - as a baseball card collector, I have to rip once I jump inside the car; as an in-person autograph collector, I can't hold onto an unopened pack when there might be a card inside I can try and get autographed; no repack packs or junk wax. I.) 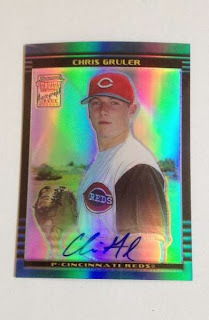 Continue to find something in the dollar and under box [1/5/14] - maybe create a list of cards I fished out on the cheap. 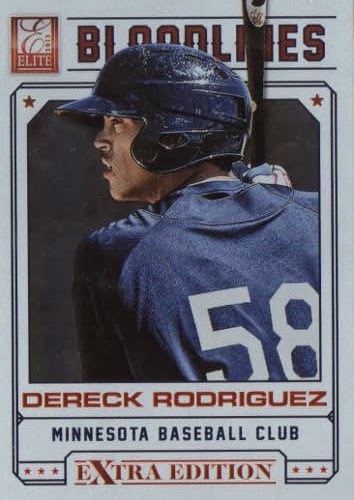 I wish this guy could have been better but he's just another failed Angels prospect - it looks like he has signed a minor league contract with the San Diego Padres, trying to extend his pro career and hopefully playing well enough that someone takes note. 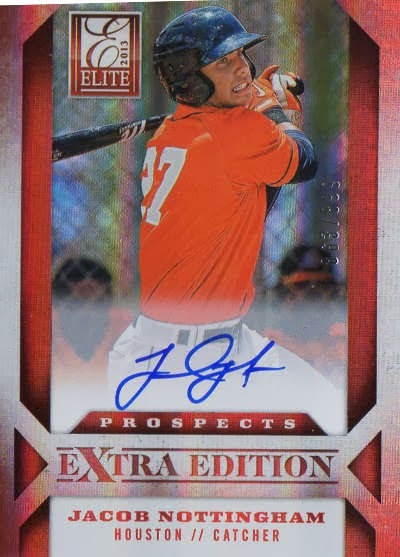 I picked up a Justin Upton certified autograph because he has a nice signature when he takes the time to write it out- while not a personal favorite, he's been sort of a enigma [though not as up-and-down as brother B.J. 's MLB career] and like everyone else I'm still waiting for him to take his game to a whole new level, where he is locked in for pretty much an entire MLB season. As far as pro sports are concerned, it's a noble thing for a Major League team to go see if Mulder has anything left - but if his comeback falls short, the Angels have lost an opportunity to give someone else a little younger and more able to make their pitching staff this upcoming season. I remember picking this 2006 Upper Deck Sweet Spot card years ago and wondering why exactly - while never dominant, Mulder was really quite good as part of the Big 3 in Oakland and in his final full season with the St. Louis Cardinals in 2005, won 16 games and pitched over 200 innings. After being out of the game for so long, maybe the more realistic goal is for Mulder to compete for a job in the Angels TV broadcast booth - he looks the part and has been doing ESPN the past two years, so why not give Mark Gubicza something to think about.